Bulgarian embroidered long women's shirt is made in the Atelier for traditional costumes Balkanfolk of white cotton cloth. 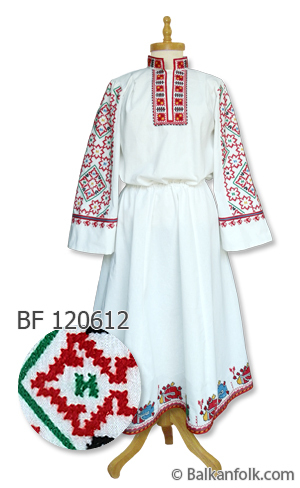 Shirt embroidery is typical for Shope region of Bulgaria. Once an order you can send us sizes on which can produce the shirt. Production time is 30 days.